Broken-down air-conditioners, television sets and computers can all be recycled into valuable resources by next year, but the cost is likely to be passed on to customers. 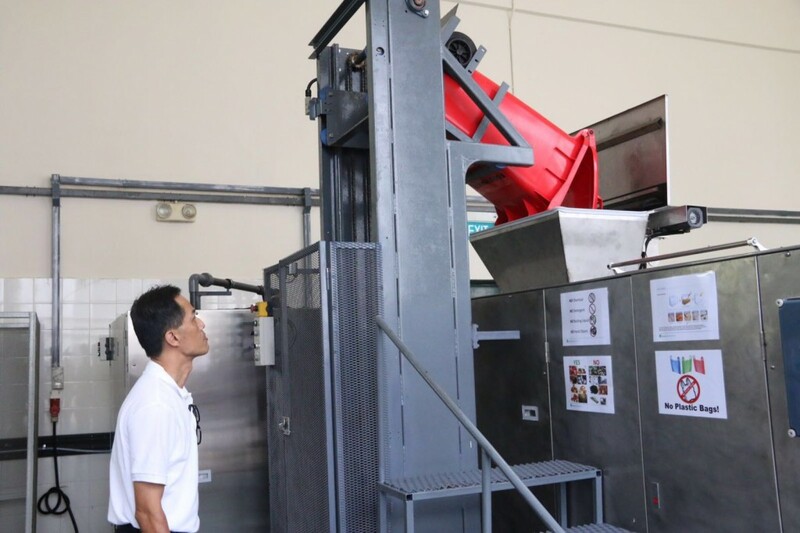 Secretary for the Environment Wong Kam-sing made the somber prediction yesterday at the start of construction of the HK$530 million Waste Electrical and Electronic Equipment Treatment and Recycling Facility at the EcoPark in Tuen Mun. The facility, which is expected to be completed in mid-2017, will be able to handle 30,000 tonnes of electronic waste per year less than half of the 70,000 tonnes thrown away by Hong Kong households and companies. Eight types of home electrical appliances would be taken to the facility for inspection. They will be repaired if found useful and donated to charities while those beyond repair will be broken down into small parts and recycled after removing harmful substances. Other usable components and materials will be recovered for reuse and recycling. 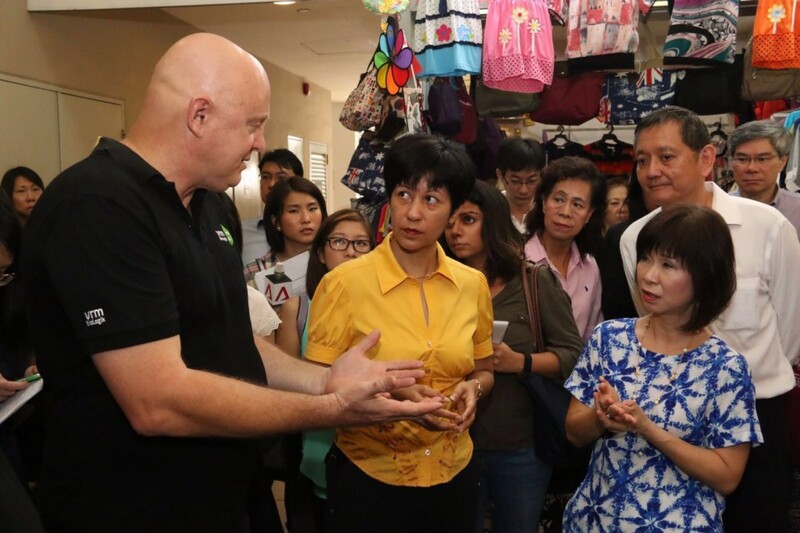 Wong said the project is a significant step in the implementation of the producer responsibility scheme, which will require suppliers of these products to follow the “polluter pays” principle and pay an extra recycling fee for the electrical equipment they sell. Manufacturers and importers of eight kinds of e-products air-conditioners, refrigerators, washing machines, television sets, computers, printers, scanners and monitors will also need to arrange a free removal service for consumers to deliver the old equipment to a competent recycler. Wong is aware that the new cost could make it more expensive for Hong Kong citizens. “The extra cost, if incurred, will be somehow shared among the related stakeholders that means the manufacturers, the retailers and the consumers. So it is not solely borne by the manufacturers, but throughout the process. There will be a commercial process that will somehow distribute the additional cost among them,” he said. The government is looking to fully implement the scheme next year if the bill can be passed by the Legislative Council. 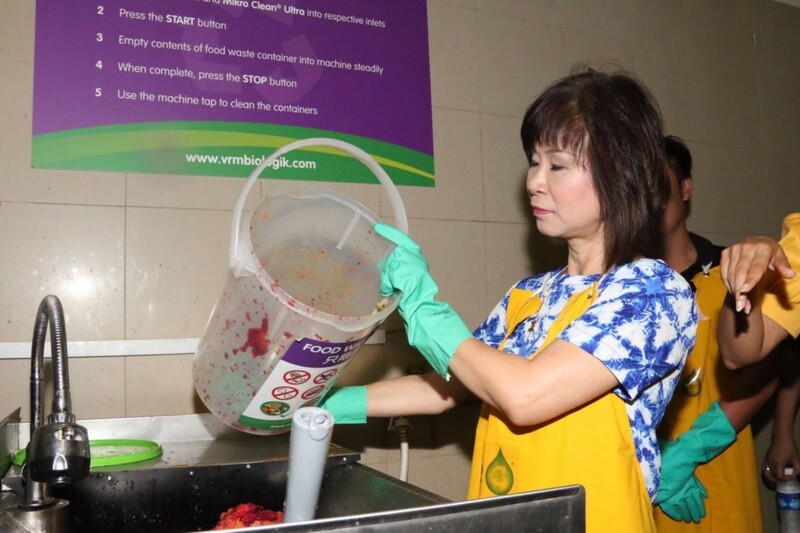 Wong said the Environmental Protection Department enhanced the mobile collection vehicle service last October to collect computers, rechargeable batteries, compact fluorescent lamps and fluorescent tubes in all 18 districts. Plastic trash will outweigh fish in the oceans by 2050 unless the world takes drastic action to recycle the materials, a report warned Tuesday on the opening day of the annual gathering of the rich and powerful in the snow-clad Swiss ski resort of Davos. An overwhelming 95 percent of plastic packaging, worth $80 billion to $120 billion a year, is lost to the economy after a single use, according to a global study by the Ellen MacArthur Foundation, which promotes recycling. At least 8 million tons of plastics find their way into the ocean every year — equal to one garbage truckload every minute, said the report, which included analysis by the McKinsey Center for Business and Environment. “If no action is taken, this is expected to increase to two per minute by 2030 and four per minute by 2050,” it said, with packaging estimated to account for the largest share of the pollution. Available research estimates that there are more than 150 million tons of plastics in the ocean today. “In a business-as-usual scenario, the ocean is expected to contain 1 ton of plastic for every 3 tons of fish by 2025, and by 2050, more plastics than fish,” it said. “This report demonstrates the importance of triggering a revolution in the plastics industrial ecosystem and is a first step to showing how to transform the way plastics move through our economy,” said Dominic Waughray of the World Economic Forum, which jointly released the report and is the host of the annual talks in Davos. “To move from insight to large-scale action, it is clear that no one actor can work on this alone. The public [and] private sector and civil society all need to mobilize to capture the opportunity of the new circular plastics economy,” he said. A sweeping change in the use of plastic packaging would require cooperation worldwide among consumer goods companies, plastic packaging producers, businesses involved in collection, cities, policymakers and other organizations, said the report. It proposed creating an independent coordinating body for the initiative. As 2015 draws to a close, on track to be the hottest year ever recorded, global attention to climate change soared. (http://nyti.ms/1NUuRsV). The United Nations Intergovernmental Panel on Climate Change (IPCC), composed of more than 2000 of the world’s leading climate change scientists, has stated with confidence that the major driver of rising temperatures is human-generated greenhouse gas emissions (carbon dioxide, methane, nitrous oxide) largely related to the burning of fossil fuels (http://1.usa.gov/1Nc8BI0). These heat-trapping emissions have resulted in more frequent and prolonged heat waves, poorer air quality, rising seas, and severe storms, floods, and wildfires. Some extreme weather events, previously expected once in decades, are now being witnessed several times in one decade. These consequences fundamentally affect the air we breathe, the food we eat, the water we drink, and the environments in which we live, as a number of sources have pointed out (such as publications in The Lancet (http://bit.ly/1OTQzem) and JAMA (http://bit.ly/Zd7NyD), and Climate Change and Public Health (a collection articles on the subject) (http://bit.ly/1jOBYFG), and a report from the US National Climate Assessment (NCA) (http://1.usa.gov/1NMPYYn). The IPCC’s most recent report, (http://1.usa.gov/1Nc8BI0), as well as the third US NCA (http://1.usa.gov/1NMPYYn ) (both from 2014), detail how global warming threatens human health by amplifying existing health threats and creating new ones. Everyone is vulnerable. Some experts contend that these profound harms rival the fundamental public health challenges posed by the lack of sanitation and clean water in the early 20th century (http://bit.ly/1vqjPyH). The many adverse health outcomes include heat- and extreme weather–related conditions, infections, respiratory conditions and allergies, and mental health conditions. Heat waves promote dehydration, heat exhaustion, and heat stroke while exacerbating heart, lung, and kidney disease. Patients using widely prescribed classes of medications that impair thermoregulation (such as stimulants, antihistamines, and antipsychotic agents) may be particularly at risk. Heavy rains heighten the risk of waterborne infections. Warming can also potentially affect the number, geographic distribution, and seasonality of vector populations, with the subsequent spread of diseases such as Lyme disease and dengue. Temperature-associated pollutants—ground-level ozone (smog) and fine particulate matter—can compromise outdoor air quality, and heavy downpours can dampen indoor environments thereby triggering growth of allergenic molds. Trauma associated with extreme weather conditions can precipitate mental health conditions, such as stress, depression, and anxiety. Of note, vulnerable populations can suffer from multiple, synergistic threats such as extreme heat, air pollution, and stress. Despite these risks, most people in the United States still do not recognize climate change, or the way it damages human health, as a serious threat. A 2015 Gallup Poll of 1025 US adults found that while a majority of adults (66%) acknowledge that global warming is happening (or will happen) during their lifetime, only a minority (37%) believe it will pose a serious threat to their way of life (http://bit.ly/1FWb8mM). A 2014 national survey of 1275 US adults (by the Yale Project on Climate Change Communication and the George Mason University Center for Climate Change Communication) found that most adults (61%) have given little or no thought to the health consequences of global warming. Indeed, the image of climate change may be more likely one of stranded polar bears rather than asthmatic children struggling to breathe (http://bit.ly/1jOCpA7). Clinicians have a powerful and unique opportunity to engage the nation by framing the crisis as a health imperative (such as articles in Family Medicine (http://bit.ly/1M3Fin9), BMC Public Health (http://bit.ly/1M3FqmG), Wiley Interdisciplinary Reviews: Climate Change, (http://bit.ly/1U4Qk1O), and American Family Physician, (http://bit.ly/1SOQNEr), and a report from George Mason University) (http://bit.ly/1W5Eypw). Doing so can educate and empower patients, policy makers, and the public. The above-mentioned Yale and George Mason University poll noted that when asked to rank various potential sources of information about health consequences of global warming, people in the United States were most likely to trust their primary care doctor, followed by family and friends and the Centers for Disease Control and Prevention. Clinicians can fulfill that trust in a number of ways. Through their collective voice, they can broadly support a range of actions urged by policy makers to promote mitigation and adaptation. Strategies to reduce greenhouse gas emissions (mitigation) include measures to reduce energy consumption at work and home, decrease reliance on carbon-intensive fuels, and improve fuel economy. Strategies to enhance resilience (adaptation) include identifying vulnerabilities by geography and population, improving early warning systems for weather hazards, targeting preparedness and response activities, and creating climate-resistant physical infrastructures (including hospitals) and prepared workforces. By supporting the growing numbers of medical and public health organizations promoting such strategies, health professionals can build and shape community resilience. The health community can also promote individual actions that address global warming and benefit health (http://bit.ly/Zd7NyD) and (http://bit.ly/1jOBYFG). Suggesting that patients substitute walking or biking for car transport, for example, not only has the potential to reduce carbon and other air pollutant emissions but also encourages exercise. Clinicians can also direct messages at specific groups, making issues concrete and personal that might otherwise seem abstract and remote. Such messages can convey that climate change threatens health now, not just in the future; that children, the elderly, the poor, and those with medical conditions and some communities of color may be especially vulnerable; and that individuals can promote preparedness as a way to shape societal action. A number of resources are readily available on the web to guide communication (http://bit.ly/1M3GQgV). Clinicians can also offer specific medical guidance about adverse health outcomes to help individuals assess their vulnerabilities and take action. For example, guiding the elderly, parents and children, outdoor workers, and socially isolated individuals to track heat and weather trends can help them connect to early warning programs, such as those that offer people the services of air-conditioned community centers during heat waves. They can communicate risks of waterborne disease outbreaks after heavy rains and advise those in high-risk areas how to take precautions to prevent bites from insects and ticks. Educating patients with conditions such as asthma can encourage added vigilance during heat waves and periods of poor air quality, such as monitoring of air quality indices and pollen forecasts, and maximizing adherence to appropriate medications. Clinicians can offer coping strategies for those facing stress and trauma related to extreme weather events. All these messages, and more, can help people link the often distant and unfamiliar theme of global warming to immediate and familiar medical concerns. In the face of one of the major global threats of our time, health professionals can make a difference. Engaging people in a health frame of reference for climate change represents a potential life-saving measure that promises profound benefits for both current and future generations. Frank Kelly, director of the environmental health research group at King’s College London, and an adviser to several governments on the health risks of pollution, told the Observer that air pollution had become a “global plague”.